For contractors who want to scale their business but feel stuck in a rut, franchising may be a viable route to consider. Franchising is also an option for startup landscapers, who may need help learning how to run an effective business and understanding the ins and outs of the green industry. Deatherage became a startup Grounds Guys franchisee in 2012, after years of working in the corporate world. 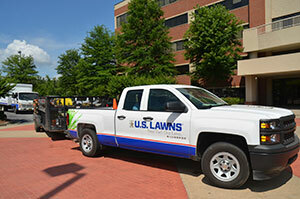 To gain more insight into the maintenance franchising world, we spoke to a few experts from The Grounds Guys and U.S. Lawns: Brandon Moxam, vice president of U.S. Lawns; Michael Green, president of The Grounds Guys; David Wells, senior director of franchise recruiting for U.S. Lawns; and Deatherage. Those thinking about joining a franchise should consider the potential franchisor’s brand, as well as the direction of their own brand. It’s also important to note that once a company becomes part of a franchise, it typically gives up its original name and runs under the franchisor’s name. However, with that brand name also comes the buying power of a national company, according to Wells. A franchise organization’s set of systems can help contractors market their business, recruit new employees and hurdle any obstacles they may face. Experts warn, however, that it’s crucial that contractors follow all the systems completely. 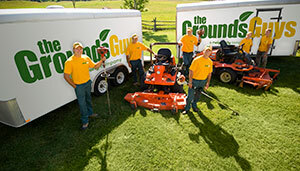 Grounds Guys and U.S. Lawns both implement 10-year franchise agreements, with the option to re-up at the end of 10 years. The onboarding process for a franchisee may take about 90 days, depending on the franchisor and the size of the franchisee. Many franchisors request a one-time franchise fee — as well as a monthly royalty fee. Some franchisors are willing to work with a contractor to partially finance the initial fee. “I would say franchisees could break even at about 12 months, depending on an individual’s skill set and onboarding process,” Green says. By design, franchise organizations foster a large support network, consisting of up to hundreds of other franchisees, who can call one another with questions and advice.